Lent is this wonderful opportunity to reflect on various spiritual themes – the Year of Mercy and more! We often give things up. Yet, I would like to challenge each of my readers to explore how they could “Evangelize” during Lent using any of the digital tools that are on their desktop, laptop, or any of the mobile tools that you have access to. What digital activities could be suggested? Why? Because my mind saw a chart just waiting to be transformed into ideas where we could be Digital Disciples and Evangelizers. I invite you to “brainstorm” with me about possible options. For example, I would retitle the slide to: Corporal Works of Mercy – Options for Digital Discipleship. Then the three headings revised to: (1) Work, (2) Personal Digital Activity, and (3) Church Digital Activity. (Work) To clothe the naked – (Church Digital Activity) – Create a graphic using Canva that promotes the local shelter with a call to action to bring in new or gently used clothes to give to the shelter. I invite YOU, my wonderful readers, to continue to brainstorm for all us! 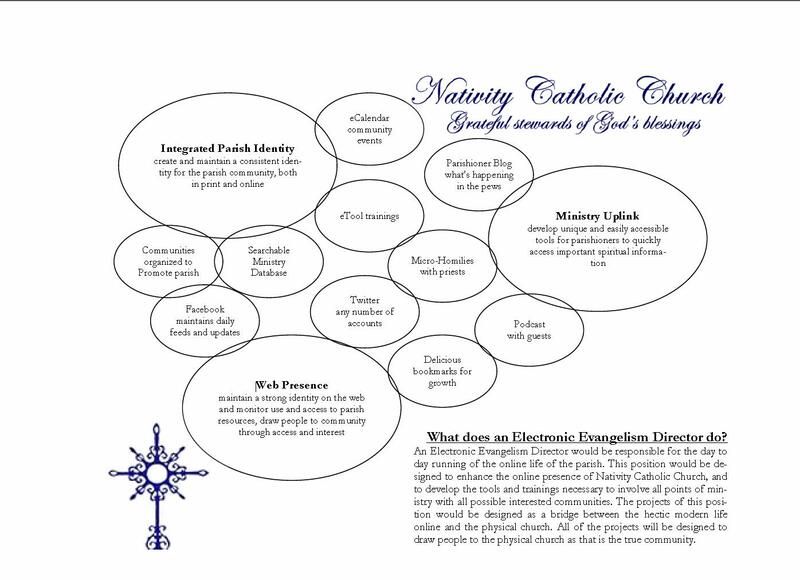 If you look at the chart, what do you see as possible options to be a Digital Disciple or Evangelizer? I ask you to continue the conversation by clicking on the “LEAVE A COMMENT” link towards the bottom of this page. I look forward to hearing the wonderful suggestions that you will offer this Digital Community! Thanks to a St. Francis Day greeting from a wonderful Franciscan friend, I was reminded that the feast of St. Francis of Assisi is just around the corner. Then I thought, I’d love to do a post about this wonderful feast/saint. Of course, the big question – about what? I quickly browsed the Digital Catechesis Video Library, and discovered that there were several St. Francis videos in this wonderful video library. Just search for “Francis” you will locate them quickly. Yes, there are many more on YouTube, but I did not want to spend hours searching through videos on YouTube that I would have to watch carefully to make sure that they were good and interesting videos. Here I could find videos that had been used by other ministers who recommended them because they found them to be inspiring, in just a few minutes! Send an email with a video link to your parents highlighting this wonderful feast of St. Francis and encourage them to watch the video with their children and then share what they know about St. Francis with each other. If you are working with RCIA candidates, you may wish to create a blog page about the Saint and then invited your candidates to share their thoughts, reflections, or questions about the saint. When they come for their next RCIA session, you could continue the conversation about St. Francis with the group at the beginning of class – perhaps in a prayer moment. If you have a Twitter account, “tweet” a link to your followers with a question that they can easily respond to in 140 characters. On your Facebook page, add a link with the video to your page. Write a short reflection and ask a question so that your “friends” can share a comment or two about what St. Francis means to them. 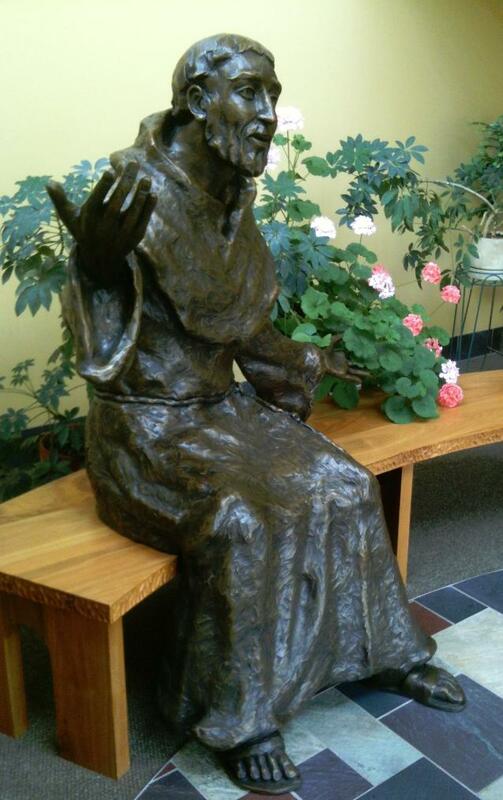 Following are several videos that focus on St. Francis. I would love to hear from you how you may be using social media to engage your students, families, youth, and young adults in celebrating the feast of this wonderful saint. Being a Franciscan, this is one of my favorite feast days! Loyola Press has prepared a wonderful multimedia stations of the cross* for children. There is a PDF document that you can download and/or print out. In addition, there is a wonderful multimedia meditation with music and images that could be shared with your families or used in your classroom with your students. Open or close your class (or meeting) with the online meditation. If you do not have access to the Internet, you can download a copy of the PDF file to your computer showing the meditation on your computer screen and/or projecting the image on a screen using a LCD projector. Invite different students to say the prayer for each station. You may want to have a CD Player with an appropriate choice of music in the background. If you do not have a way to show the multimedia presentation, print the meditation out and go over to your church. You can distribute a copy of the prayer for each of the stations to the students and as you proceed from station to station, the student can read the prayer for the group. To engage the students in being very involved in creating their stations of the cross, once you have a printed copy of the meditation distribute the sections of the meditation to small groups and/or individual students. Invite them to create their own images for the station using any variety of media – pens, markers, crayons, etc. Invite them to bring their drawings to class. Collect the images and ask a high school student to scan the images for you. Once they are in a Digital format, work with your webmaster to add the stations that have been created by your students to the parish website. If students have access to a computer either in the classroom or at home, direct them to a shared folder using Google Docs – Presentation. If you need information about this Google option, go to (GDocs Presentation ) or Google Docs Tutorial. If you are interested in embedding this presentation into your blog, go to Embedding Google Docs in Your Blog Posts ) . Of course there are other tools that you can use to create an image of the Station that you have been assigned. For those using mobile tools (especially the iPad), you may want to encourage your families to work on creating their own Stations of the Cross with their children. For the types of tools to recommend to your families, go to – Top 10 Apps for Digital Storytelling. Often these tools will allow you to share links of completed projects with others. You can ask your families to email to you the links of their meditations. These links can then be included on your websites and/or blogs. You Tube Videos – Stations of the Cross – A puppet version of the Stations of the Cross. The puppet show is created by Jesuit Brother Edward Sheehy. Would love to hear your stories and ideas of how you are using online videos and involving your students this Lent using electronic tools. If you like this article, click the “Like” button or add your comment to this blog. 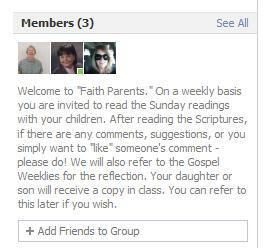 Or, forward to others who are interested in Stations of the Cross with their children. * The stations images are from Our Lady of the Angels Monastery, Inc., Hanceville, Alabama as shown in the Loyola Press website article “Multimedia Stations of the Cross for Children”? The Times – They are a Changing! This wonderful term “New Media” – what do we do with it? The world around us is changing. And as this world changes, we need to begin to explore who we will bring on board to assist us in our parishes and dioceses so that we can integrate these wonderful digital tools into evangelization, catechesis, and communication ministries. 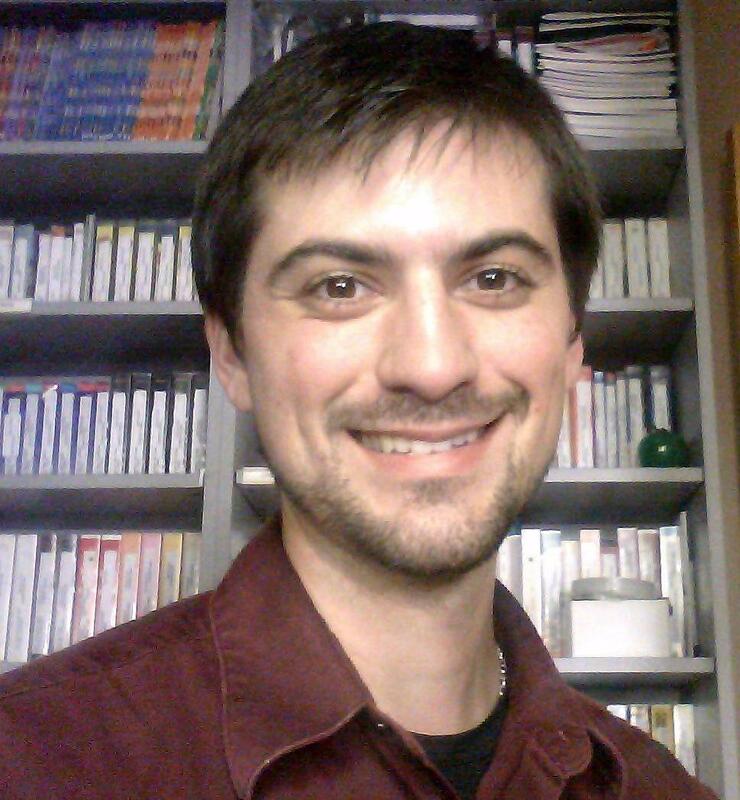 I’d like to introduce you to Thomas Sanjurjo, who recently joined the team/staff at Nativity Catholic Church in Brandon, Florida. What is important to note, is that he is their first Electronic Outreach Director. I met him recently at a Sunday liturgy. After Mass we chatted in the parish hall over coffee. I left the conversation with Tom with a sense that this parish portrays a model of what it means to be an emerging 21st Century Parish. Why is he important to this parish? We are now in the midst of an ever evolving Digital Culture that has its own language and tools. Many of us often feel that we are strangers on the edge observing a world that is both exciting and terrifying. If I were a missionary in a foreign land, initially I would feel intimidated by not knowing the new language or culture. Even though I would desire to share the Gospel with others, they would not understand me. I might possibly offend them, not knowing how important it is to only shake hands at our first meeting instead of giving a warm hug. Missionaries today are trained in both the language and culture of the country and people they will serve. By the time they arrive in their new and foreign land, they already speak the language and know the fine points of what is acceptable or not in the culture. So, if we stop to think about the Digital Culture surrounding us. It is a new language and a new culture! Who is teaching us the language and the ways of this ever evolving culture? Yes, a professional like an Electronic Outreach Director will not only do ministry via the parish website, Facebook page and more, he/she will also be responsible for training the staff and even parishioners. After all this Digital Culture affects all of us! This parish now has an in residence mentor whose job it is to be involved in electronic outreach. Yes, he will be responsible for the daily feeds and updates of the parish FaceBook page, developing and coordinating the parish blog, uploading the Sunday homily to Sunday Mass Podcast, and training his staff and parishioners, and more. His ministry is just beginning. It will be a delight to hear more about his ministry in the future. I’m sure that there are other positions being created at the parish or diocesan level. If you are aware of these new positions, I invite you take a moment to introduce us to the new position and who is serving in this role. Let’s share in how we are becoming a 21st Century church! As we immerse ourselves in the season of Advent, over the next two weeks, I will share with you videos, music, and various presentations that I’ve located on the Internet. May these materials be an inspiration to you as you enjoy what others, who are like you, have created. If you like, you may forward the blog link to other catechists, parents, friends or anyone in your parish communities who would like to pause for a moment to prepare their minds and hearts over these next weeks for the celebration of the Lord Jesus into our lives! New Original Christmas Song performed by Kristen Trayer and set to the edited images of the timeless movie “The Nativity Story”. This song is available for purchase on iTunes. This video will warm your hearts, inspiring feelings of love through the humble perfection of the Nativity. Celebrate his birth all around the Earth, it’s Christmas!